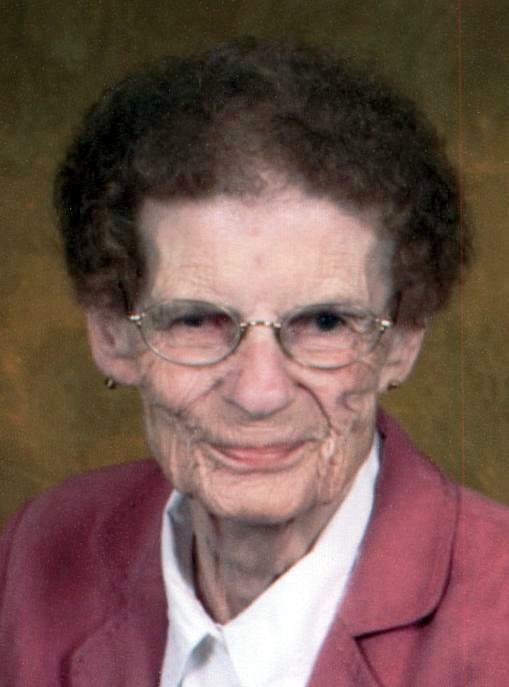 Vivienne “Sue” Warnecke, 86, of Delphos, passed away on Friday, January 18, 2019, at Vancrest Healthcare Center. She was born on May 15, 1932, to Maurice “Shorty” and Viola (Reinemeyer) Mueller. On April 19, 1952, she was united in marriage to Leonard Warnecke who passed away on May 16, 2018. She is survived by five sons, David (Rose Mary) Warnecke of Lexington, Oh, Steven (Diana) Warnecke, Mark (Elaine) Warnecke, Jeff (Janine) Warnecke, all of Delphos and Andy Warnecke, of Van Wert; nine grandchildren, Meghan (Anthony) Hovest, Jessica Warnecke, Nicholas (Diana) Warnecke, Kristy (Tom) Elkins, Brett (Alicia) Warnecke, Nathan (Allison), Tyler, Ben, and Lindsey Warnecke; 11 great-grandchildren, Blake, Ashlyn, and Addison Elkins, Ezra, Milo, and Lane Hovest, Juliet and Ariana Warnecke, Brylee, Harper, and Madelyn Warnecke; and a sister in law Kathy Mueller, of Fort Mitchell, KY.
She was preceded in death by her husband, her parents, and a brother, Maurice “Bud” Mueller, M.D. Sue was a member of St. John the Evangelist Catholic Church. She retired from K-Mart where she worked in the photo department. Sue loved spending time with her children and grandchildren. A Mass of Christian Burial will be held on Tuesday, January 22, 2019, at 11:00 a.m. at St. John the Evangelist Catholic Church. Father Dennis Walsh will officiate. Burial will follow in Resurrection Cemetery. Friends and family may call on Monday, January 21, from 3:00-7:00 at Harter and Schier Funeral Home where a parish wake will be held at 6:30 p.m.
Memorial contributions may be made to Thomas Edison Training Center/ VWDD.